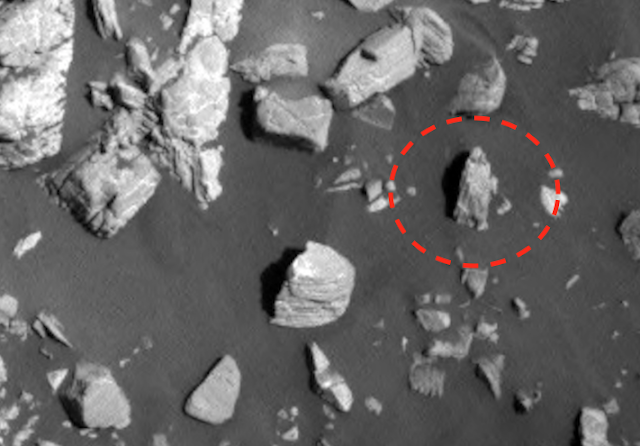 UFO SIGHTINGS DAILY: Jesus statue on Mars is evidence that he visited many alien planets, Dec 4, 2017, UFO Sighting News. 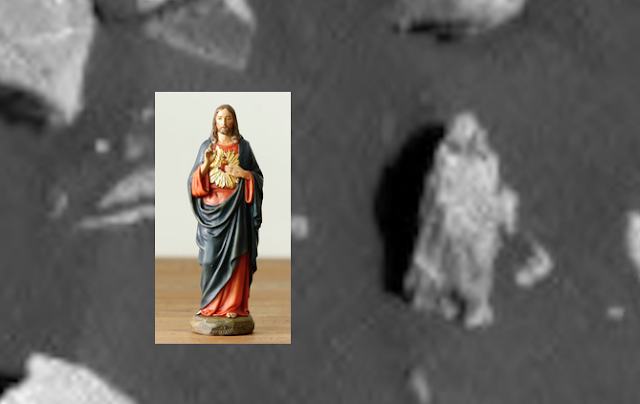 Jesus statue on Mars is evidence that he visited many alien planets, Dec 4, 2017, UFO Sighting News. 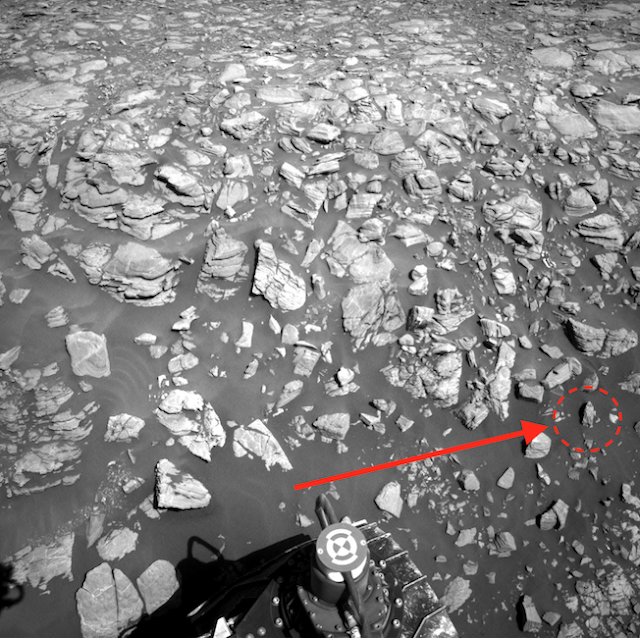 I found a statue on Mars near the Curiosity rover. It looks like a statue of Jesus. You know, the statues you see all over churches and books. The statue is small about 15 inches tall, but still standing after years of neglect. You can see that the person has long flowing hair, a cloak that goes around the shoulders, down to the feet and two feet sticking out at the bottom. The detail is amazing. 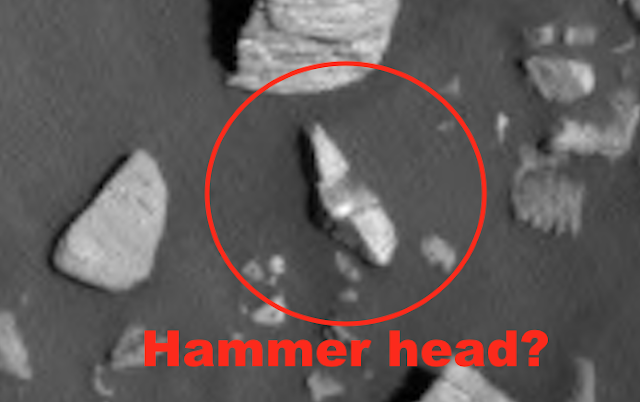 I also found something that resembles a rock hammer head not far from the statue. I circled it in the photos below. If this is a statue of Jesus, then this is the first evidence ever that he went to many other civilizations on many planets to instill his beliefs on them. We on Earth are not unique, but just one of the many planets he went too.